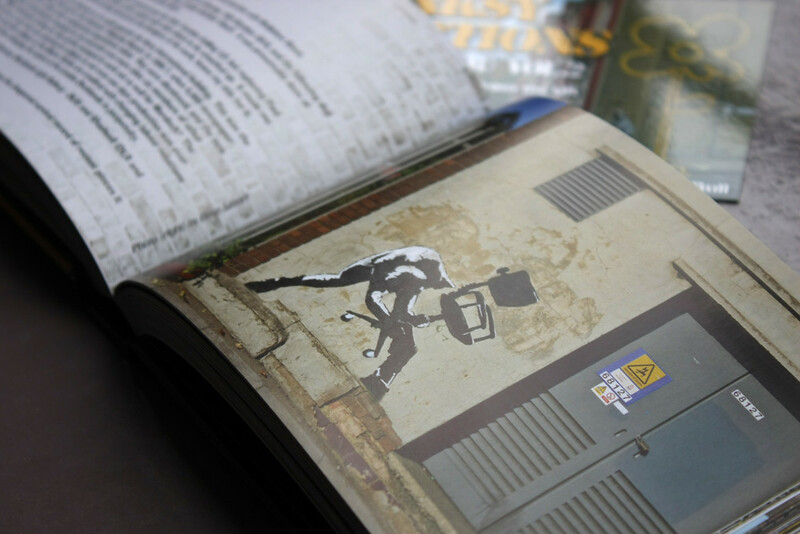 With a poster commissioned by Greenpeace going under the hammer for £80,000, thank goodness for this book that shows Banksy at his best writes Alexander Ecob. Self-confessed Banksy geek Martin Bull has, in his own words, ‘shamelessly rehashed’ the formula of his 2006 publication Banksy Locations & Tours for his new book Banksy Locations (and a tour) vol. 2 (Shellshock Publishing, £12.50). And why not? Street-art is a fluid and transitory medium and pieces, particularly by a figure as divisive as Banksy, are always subject to change, whether at the hands of zealous councils, opportunistic art ‘dealers’ or rival writers on a vendetta. So this second volume picks up very much where the first left off: as a comprehensive run-down of Banksy’s work along with locations in which to find it. Bull gives a brief commentary on each piece featured, including a note on their condition (a very useful addition, as many have been whitewashed into oblivion or ‘dogged’ by other writers), occasionally going into more detail, such as passages on Banksy’s ongoing feud with veteran writer Robbo. Also very welcome is the breadth of work featured, with pieces from Bristol, the South Coast, Manchester, Glasgow and the rural West Country among others supplementing the better-known London work. Eye is the world’s most beautiful and collectable graphic design journal, published quarterly for professional designers, students and anyone interested in critical, informed writing about graphic design and visual culture. It’s available from all good design bookshops and online at the Eye shop. Eye 78 is on press. For a taste of the last issue, no. 77, see Eye before you buy on Issuu.